 Chris Stead has been asked to move into a District appointment, managing our existing and new facilities at this exciting time for Wakefield District Scouts. This is a tremendous opportunity for Chris which he has accepted, and a reflection of his excellent managment skills and scouting knowledge. Chris has done a fantastic job within Crofton in supporting the leadership team over the past four years as Group Scout Leader (GSL), and helping to turn the Group round from the brink of closure to the success it is now. Chris has promised that he will still be a regular face within the group and will continue to support us in whatever way he can. Karen Hodgkinson has been appointed by Wakefield District to take on the role of Group Scout Leader. Karen will be known to many within the Group, having been a Beaver Leader for several years before becoming Assistant Group Scout Leader in 2008. The continuing support of all the enthusiastic leaders, helpers, parents and friends will ensure that Crofton remains such a great success and one of the best groups in the District.